Notification No. 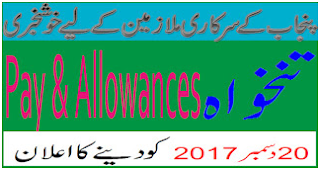 FD/Accounts/A&A/14/61(Vol-II) is an issued by Punjab Government Finance Department dated 08-12-2017 concerning Advance Salary & Pension 2017. 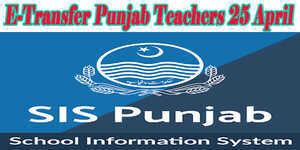 It is submitted to the Accountant General Punjab Lahore and all district accounts officers in the Punjab /Treasury officer-I Lahore. 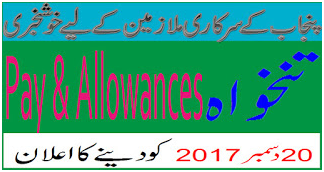 Subject: Disbursement of Pay and Allowances & Pension for the Month of December 2017 in Advance on account of Christmas to Government Servants and pensioners belonging to Christmas community. 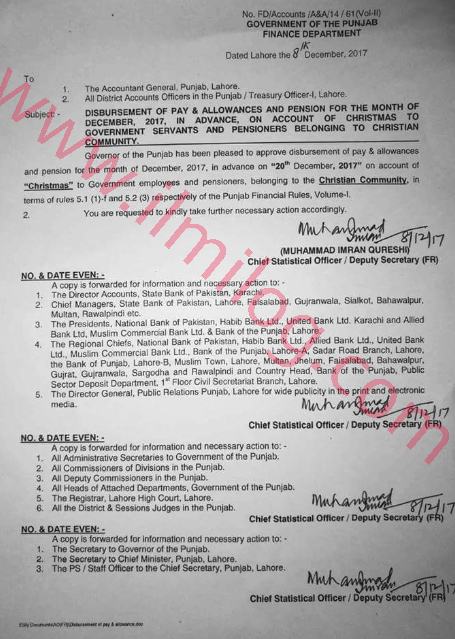 Punjab Governor has been satisfied to approve payment of Pay and Allowances and pension for the month of December 2017 in go forward on 20th December 2017 on account of Christmas to Government workers and pensioners belong to the Christmas the public in terms of rules 5.1 (1) -1 and 5.2(3) in that order of the Punjab Financial Rules Vol-I.